Silent Ones by Ricky Rijneke wins two Golden Aphrodite Awards at the Cyprus International Film Festival. Dutch feature film Silent Ones by Ricky Rijneke has won two Golden Aphrodite Awards at The Cyprus International Film Festival. 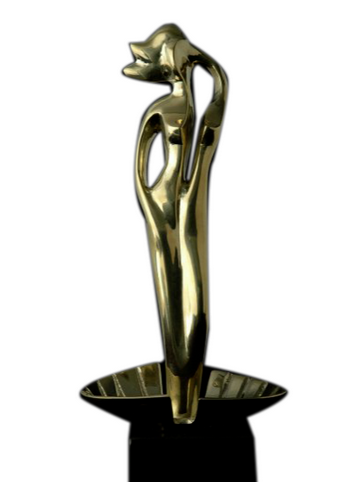 A Golden Aphrodite was awarded for Best Editing to Ricky Rijneke and Nina Petrovna and a Golden Aphrodite was awarded for Best Cinematography to Gergely Pohárnok, Jean-Paul de Zaeytijd & Dirk Rijneke. According to the festival, the Cyprus International Film Festival is the most important independent cinema event in the whole region. Films by emerging directors produced in the last 36 months are invited for the screening program. Silent Ones tells the story of a young Hungarian woman (Orsi Tóth) whose little brother Isti has disappeared without a trace. She leaves aboard a cargo ship heading to Western Europe to keep her promise to him. The journey turns into a surreal trip on the fragile edge of life and death. Silent Ones won 11 awards out of 15 nominations, among others in New York (Winner Best Feature Film), Toronto (Winner Best Female Director), Berlin (Winner Best Feature Film), Los Angeles (Winner Best Cinematography and Winner Honorable Mention Narrative Feature), Sao Paulo (Nomination International Jury Award Best Film), Wroclaw (Nomination New Horizons Grand Prix), Rotterdam (Nomination Tiger Award), Dutch Golden Stone for Best Film, Lecce European Film Festival (Winner Best Cinematography and Winner Best Supporting Actor). Silent Ones was released in Dutch film theatres for eight weeks in December 2014. It received great critical acclaim. A film critic of ‘De Volkskrant’, leading Dutch daily newspaper ranked Silent Ones as Best Film 2014. Ricky’s new project The Hunters Son is invited for Script&Pitch of the Torino FilmLab 2015. She was also invited to present The Hunters Son at the emerging Talent Lab of the Toronto International Film Festival 2015 (TIFF). Silent Ones produced by Rotterdam Films (Rijneke & van Leeuwaarden) has been supported by the Netherlands Film Fund and the Mondrian Fund. French sales agent Wide Management handles international sales.